UNESCO welcomes the announcement by the Iraqi authorities of the retaking of Mosul University by Iraqi military forces. During the period of occupation by ISIL/Daesh, the University of Mosul suffered considerable physical damage, and its academic staff and students were subject to grave violations of the right to education. UNESCO has received several reports on violations of academic freedoms in various universities in Iraq over the last 2 years, including the University of Mosul, the University of Tikrit, the University of Anbar in Ramadi and the University of Diyala in Baqubah. Professors, researchers and students have been exposed to extreme pressure. Study programmes, in particular in the areas of law, religious sciences natural sciences, education and fine arts, have being altered. In addition, the principle of co-education has been jeopardized. These violations now create huge challenges in terms of recovery of the education system in areas currently being liberated from ISIL/Daesh presence. 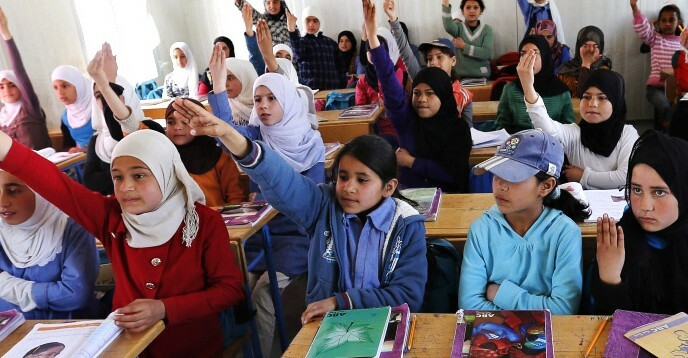 UNESCO also welcomes the reopening in Aleppo of almost 20 schools, which have already attracted a large number of learners eager to return to school and learn despite the dire state of buildings, without electricity, water, adequate equipment and learning materials. UNESCO has sent a mission to Aleppo in order to conduct a preliminary assessment of the state of learning institutions, and join efforts to renew learning for communities in Aleppo and other cities in Syria. UNESCO reaffirms that universities and schools must remain zones of peace and safety, zones of freedom for critical enquiry, learning and service to the community and zones of equal educational opportunities for women and men. Higher education and research are instrumental to the pursuit, advancement and transfer of knowledge and constitute an exceptionally rich cultural and scientific asset for the peoples of the region. UNESCO calls upon the international community, including the academic world, to support recovery of all educational institutions, including Mosul University, so that quality teaching and learning can be resumed in a safe environment. Next article Professor Fadia Bou Dagher Ghossayn appointed a Member of the Order of Australia.